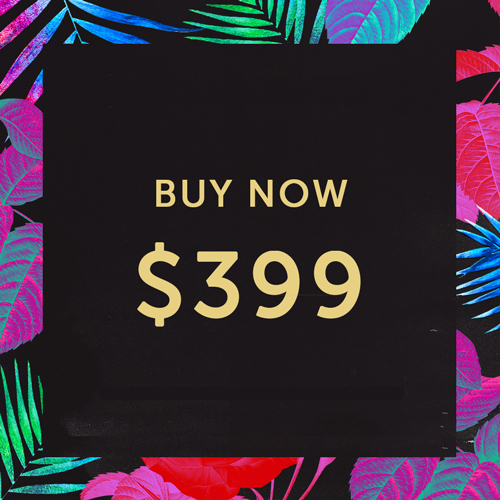 YOU GET $50 OFF THE USUAL PRICE ($449) FOR 24 HOURS ONLY! 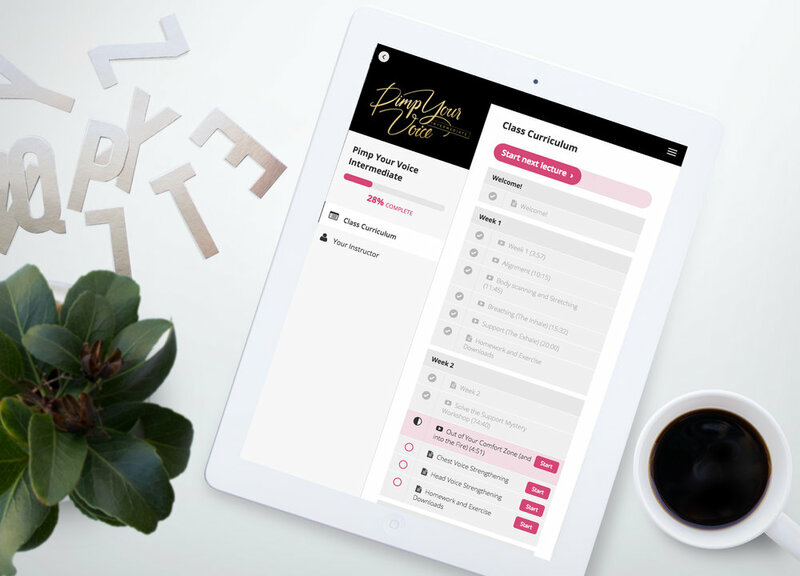 Once your payment is processed you’ll receive an email with all the details to log into the course platform. The course itself kicks off on Sunday 14 April. Kim’s program has helped me get in touch with the elements of singing that I had brushed aside. I was trying too hard to get better which was in fact detrimental to my progress. 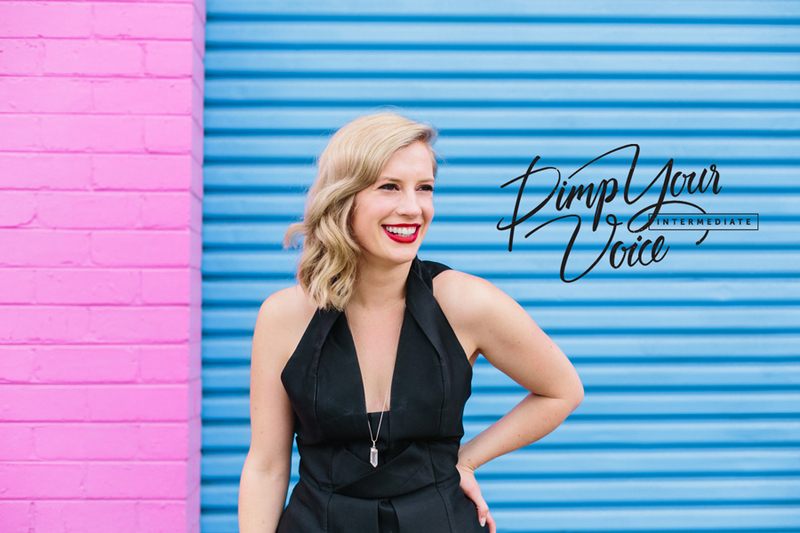 ’Pimp Your Voice Intermediate’ has been the best course to help me relax and unlock the voice that is already within me. Kim is so enthusiastic, cheerful and beautiful on screen – she sounds and looks terrific. Thank you for being the mindfulness messenger in my life! YOU GET $50 OFF THE USUAL COURSE PRICE ($449) FOR 24 HOURS ONLY!